Do you own a home that has high heating and cooling bills? 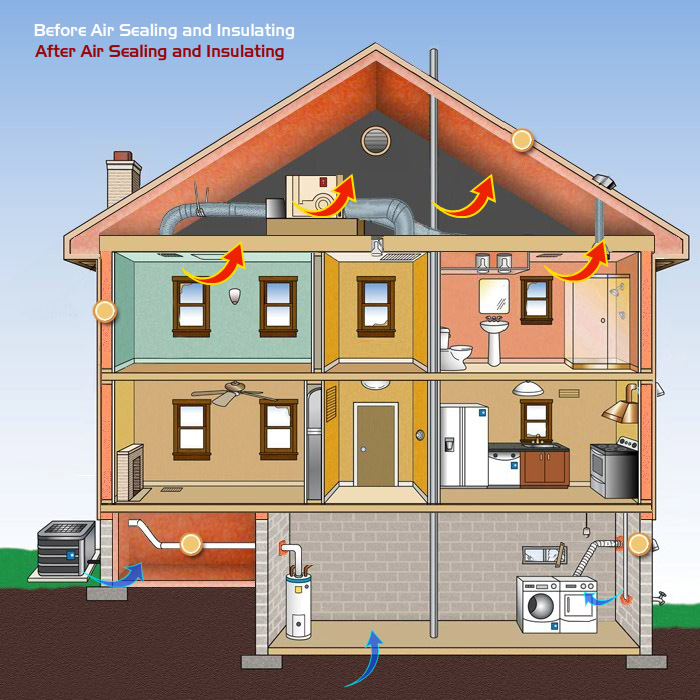 Looking to take advantage of the benefits of upgrading your home’s insulation? We have developed our Home Performance division specifically for you. There are different philosophies about the best way to maintain a consistent temperature in a home and reduce energy costs, including upgrading windows and doors, improving your heating and cooling systems, and adding insulation. Home Performance Testing is an objective assessment of just that – your home’s performance. Building science technology allows us to take a whole-house perspective when assessing the energy problems in a home, and propose the best possible solution. By doing this, you can be confident that you are investing dollars in solutions that are going to make the greatest impact on both your home’s comfort as well as your wallet.